Pet care, whether in-home or at a kennel, can add a hefty cost to your travel budget. So why leave your pet at home? You can bring your pet on your road trip, take them with you on an airplane, the subway, buses, trains, or even include them on a cruise. There are countless ways for you to enjoy time away with your beloved pet at all price points. 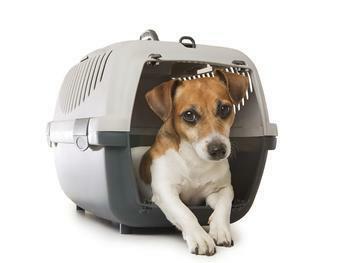 Pet policies vary widely so check each venue for its specific policy. Many hotels allow you to bring your pets; some at no additional charge while others add a pet fee. Most allow only domestic pets, like cats and dogs, but review the hotel/motel’s website for their pet policy. Or conduct a specific online search for hotels that allow, for example, birds. What types of activities can you enjoy with your pet? Many state and national parks, national monuments, national military parks, and national historic sites allow pets on a leash. Beaches can be pet-friendly and allow pets both on-leash and off-leash. Always check websites prior to making your plans. Bring your small dog (under 20 pounds) on a 50-minute horse-drawn carriage ride in Savannah, Georgia. Take your dog on the Skunk Train, located in Northern California’s Mendocino County, that runs through the redwood forest, pristine coastline, and award-winning vineyards. It should be no surprise that dogs and cats are welcome at Fantastic Caverns in Springfield. Mo. The cave was discovered in 1862 by an Ozarks farmer -- or more precisely, by his dog. You can tour the cave all year long in Jeep-drawn trams. Check the website for holiday closures. The Key West Aquarium in Florida, with its beautiful indigenous sea-creatures of Key West and the Florida Keys, welcomes dogs anytime, as long as they are on leash. Visiting Chicago between July and September? Take the Mercury's Canine Cruise, relaxing and soaking in the city’s lore with your dog on a leash, enjoying a 90-minute cruise and narration of Chicago’s history and architecture. Bring Fido: A comprehensive source for locating dog-friendly hotels, restaurants, activities, events, and services throughout the United States. The site allows a search by city and state. Dog-friendly Cruises: You can take your dog or cat on the Transatlantic crossing on the Queen Mary II, but there are a number of other ways to cruise with your dog. Pet-friendly public transportation: The site offers some guidance for taking dogs on trains, subways, and buses. Trips with Pets: This website gives pet-friendly travel tips, including car rental pet policies. Pet Friendly Travel: This website has specific information on best practices for air travel with your pet, each airline’s (commercial and private) pet policies, pet transport/shipping, and airport limo service. Motels & Hotels That Accept Pet Birds: Here's a hotel listing and additional resources for traveling with pet birds. Airline Travel with Pet Birds: This site showcases requirements and recommendations for air travel with pet birds.